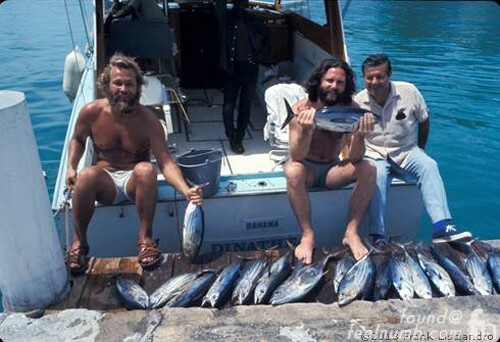 In September 1970 during a break from his indecent exposure trail in Miami, Jim Morrison along with his Beverly Hills attorney Max Fink and friends took a quick two day trip to the Bahamas for some fishing, snorkeling and rum drinking. 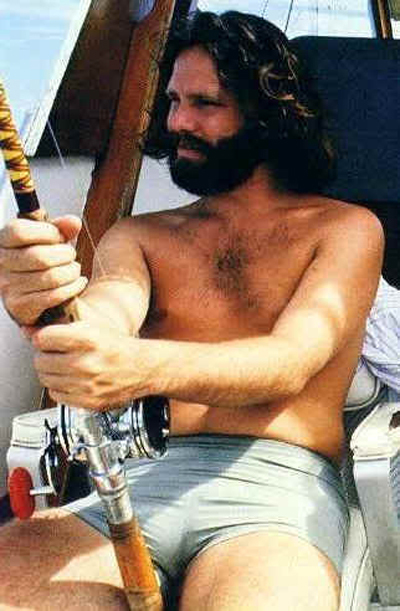 It was there that these classic photos of Morrison on a boat fishing came from. 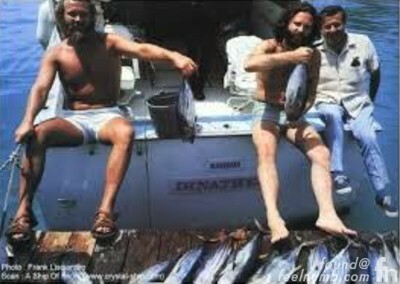 Check out Jimbo with his friend Babe Hill, his lawyer Max Fink and a bunch of freshly caught Tuna fish. Jim and his crew got away for a few days because the stress and drama surrounding the trial had become to much to handle. 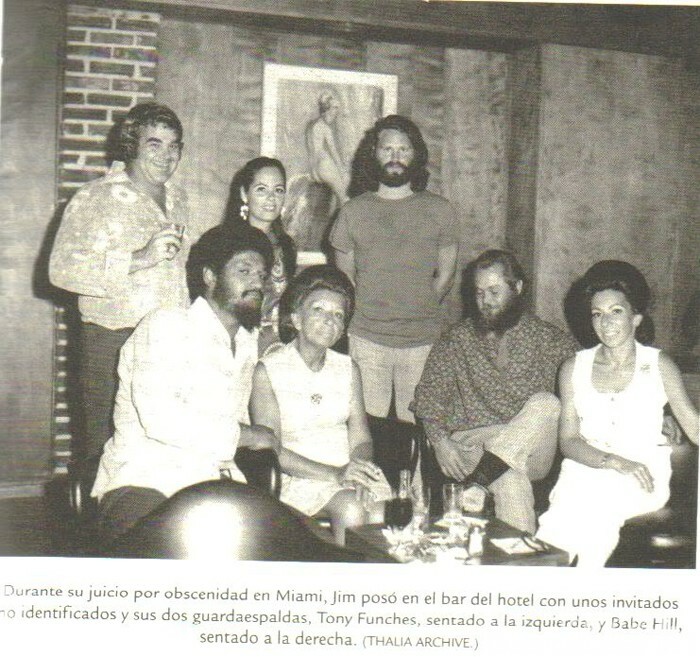 The photo below of Jim and crew says it’s from Miami but might possibly be from the Bahamas trip. 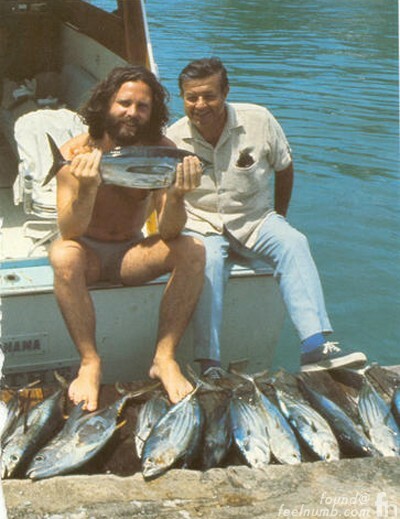 Jim and Max look pretty proud of their catch. I’m a big fan of rock stars doing some normal stuff. Check out Kurt Cobain hang gliding.